Hi everyone! The Divided Earth, the third and final book in the Nameless City trilogy will be out in bookstores very soon! I’m so excited for people to read it! I really hope you like the conclusion of Rat and Kai’s story, which I’ve worked so hard on. Three years of my life spent on this trilogy! I have a few upcoming events to promote the publication of The Divided Earth; if you’re in the area, I hope you’ll come by to say hi and pick up a book. 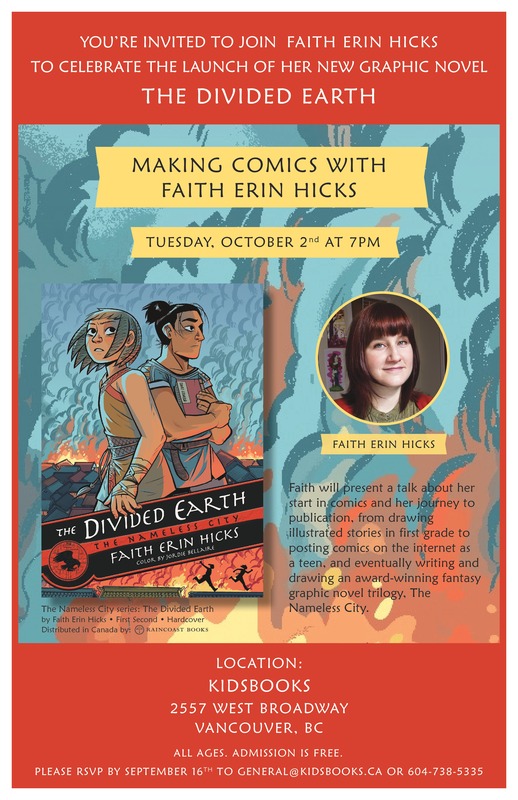 If you’re not able to come to one of my public events, The Divided Earth can be found where most books are sold: at your local bookstore, your local comic store, Amazon, B&N or Indigo. Also, in late October I will be a guest of Lucca Comics & Games, in Lucca, Italy! I don’t yet know my schedule, but I’m really excited for this trip. 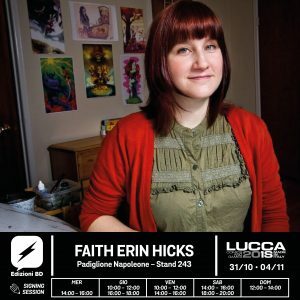 Never been to Italy before! I’ll post more about it closer to the date. If you enjoyed The Divided Earth, please consider leaving a review on Amazon or Goodreads. Word of mouth is one of the best ways to support a book you like!